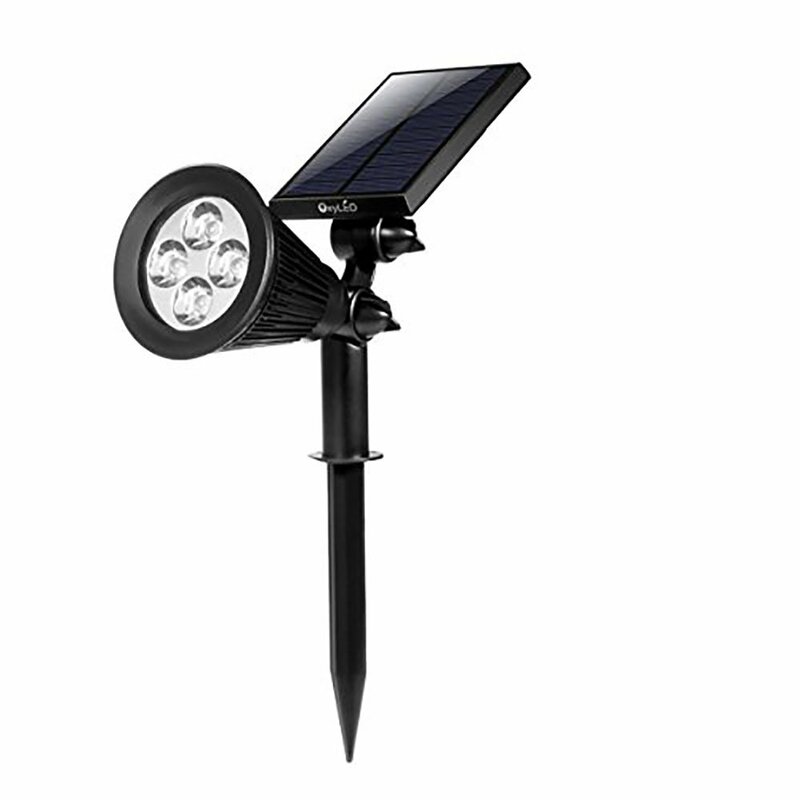 Home › Energy-Efficient LED Lighting › Oxyled E03S Led Solar Spotlight - Waterproof Adjustable 180 Auto-On/Off Light..
Oxyled E03S Led Solar Spotlight - Waterproof Adjustable 180 Auto-On/Off Light..
ADJUSTABLE LED LIGHT & SOLAR PANEL: Adjustable 90?? light to perfectly illuminate the area required. Adjust the 180?? solar panel to the optimum angle for sun exposure. WATER RESISTANT BODY: Waterproof class: IP65. Perfect for patios, decks, pathways, stairways, driveways, garden, etc.